Our clients often ask us: "What if it's raining - we can go on our tour?" And the answer is a resounding: "Of course!" We are happy to report that Arenal Costa Rica has had a season of steady rain and our rivers, canyons and the beautiful Lake Arenal have a good level of water these days. In years past, we always had very heavy rain and flooding. In fact, the Arenal Volcano area is famous for its rainfall. Costa Ricans often ask me where I live and when I tell them they say: "Ah... San Carlos... where it only rains 13 months a year!" However, I have seen many changes in weather patterns in the twenty years since I started Desafío Adventure Company. It is no secret that climate affects tourism in Costa Rica. Almost everything we do at Desafío is at the mercy of Mother Earth - rafting, canyoning, kayaking... even our Costa Rica transfer services. For example, a lot of rain can cause landslides and massive pot holes on the roads - it can get messy here! 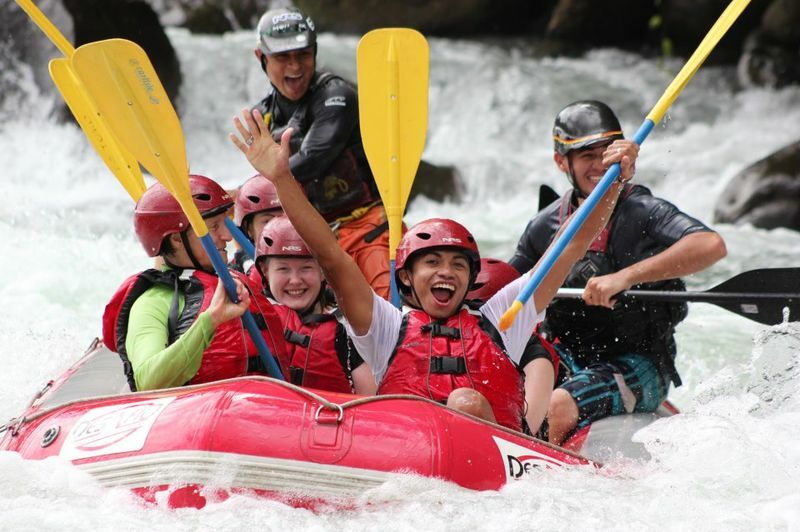 White water rafting on one of Costa Rica's water-abundant rivers. I'm a big fan of Weather Channels and websites that report on climate. Several times a day, I check the www.WeatherChannel.com page to check on weather conditions that can affect our tours. From there, I can track the movement of hurricanes and storms that could threaten our coasts. This year, I've seen an interesting phenomenon: there have been fewer dangerous storms and hurricanes this year than I've seen in years. This usually means less rainfall for Costa Rica and although the rain has been constant so far, the amount of rainfall is less than normal and I am afraid that we will suffer more droughts in coming months. We are witnesses and victims of dramatic environmental changes and desertification of our beloved Costa Rica. Less rain... less water in our rivers and rainforests. 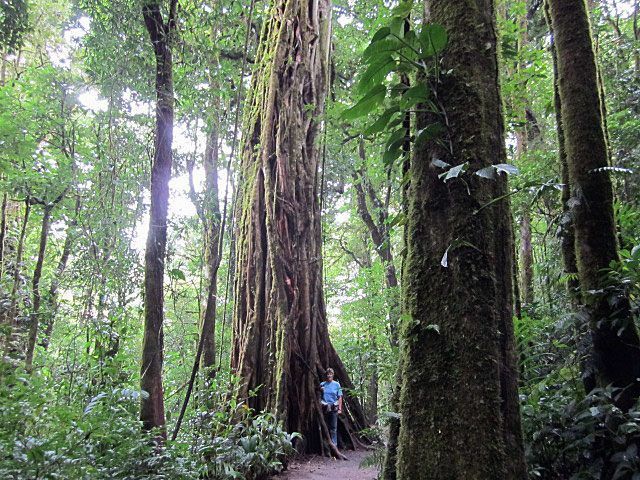 The old growth trees in the Monteverde Cloudforest Reserve. In addition, we have had to change our rafting operation several times and look for different rivers and mount new logistics because of the construction of hydroelectric projects in the Northern Zone. In fact, the other day as I was crossing the bridge over the Peñas Blancas River, there was a police checkpoint and the officer asked me: "You are from Desafío Adventure Company, right? 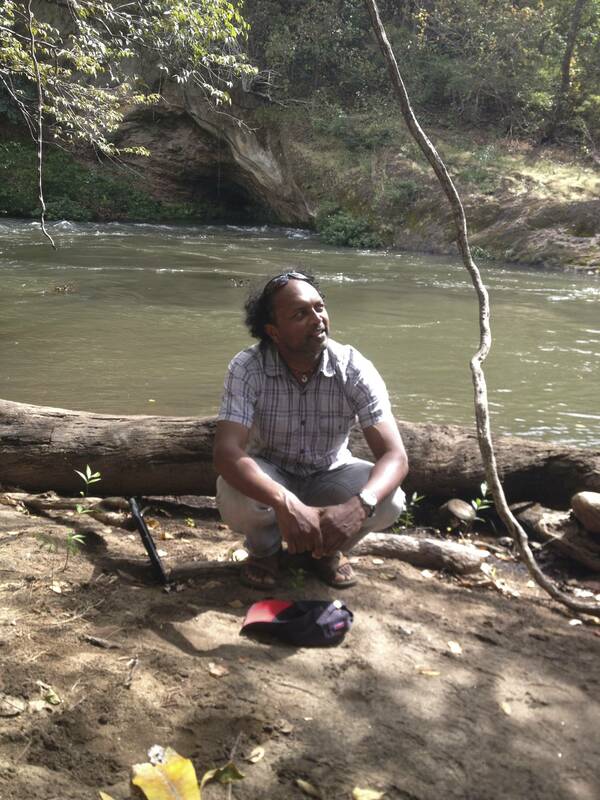 I remember when this river was really impressive - I would always go with my family and get lots of fish Bobo... But now, no fish... no rafting... "
The two rivers in particular that lost there usability, decreased in water levels and decreased water quality: Penas Blancas River and the Arenal River - residents near these rivers suffered greatly because rivers are the souls of our communities. In addition, we had to stop running the Río Toro due to the construction of a second dam. Now the new dam on the Rio Balsa is in the process of testing and we are unsure of its future for rafting. And now there are rumors that they want to put more hydroelectric projects on the Rio Sarapiqui and another on the Tenorio River. If we lose this aspect of the tourism industry, it will mean the loss of millions of dollars in annual revenue and will have a strong impact on the local economy given that rafting is now considered the most sought-after activity for tourists coming to the area nowadays. 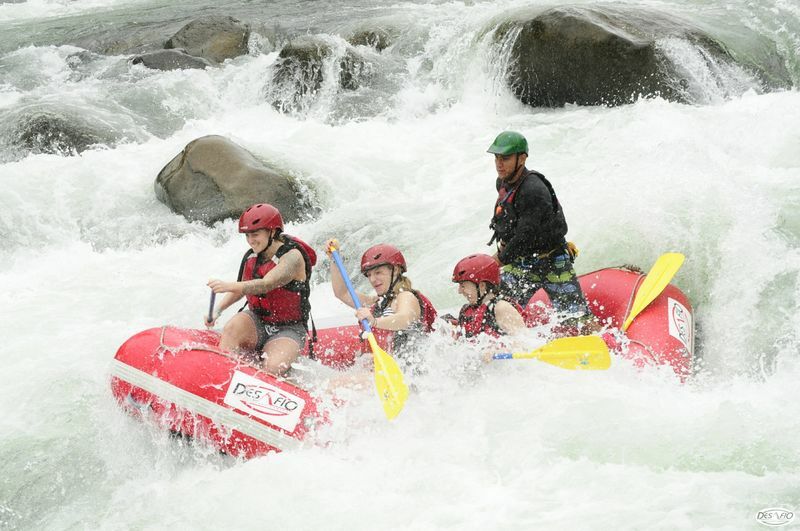 White water rafting on the Balsa River in Costa Rica. I am proud to be in this beautiful democratic country, and it's reassuring that the government has asked me to participate in workshops regarding "The Future of Energy Production in Costa Rica." The world has Costa Rica under its magnifying glass based on our political decisions, and especially those related to the environment. But for now, rain or no rain, the idea is to get wet and have Serious Fun on our adventure tours - whether you go rafting, canyoning and more - and now is a good time to visit Arenal Costa Rica!